Collectively you and your colleagues may have created the #1 stress in the workplace without knowing it. You may even have ‘enjoyed’ doing it but the end result is creating what I personally consider the #1 Office Stress. This stress is created because of bad habits, picking on other people’s flaws, mistakes and negative qualities. This stress can be eliminated if you know the result is detrimental to a young career builder like you. It creates office politics and it takes you off your focus of building career success for yourself. Who are these people and why do they do it? And what are the results of these actions? Let’s see who these people are and why do they create stress in the workplace. Typically, two or more persons get together and they start a conversation about someone. And I would take a guess that it is usually to pick on a particular person’s flaws, mistakes or negative traits. The reason people do this is because somehow out of some weird logic, they conclude that the person picked on is less competent. The people who started the conversation become the expert on character because they think they are somehow better and more competent. People do this because they are insecure. By picking on other’s flaws, somehow makes them feel they are right or better. Is this correct? No. Does it work? No. But people continue to do it while creating unnecessary stress in the workplace for themselves. Another group of people typically get into complaining and picking on others because they are angry with someone else. Sometimes the anger could have legitimate reasons but the way they tackle it creates stress for themselves and others. Why? Because instead of discussing the issue with the party involved, they would rather rally people on their side. As if their story needed to be heard. They are out to persuade others to be on their side. They seem to think, the more people on my side the more ‘right’ I am. It is a feeble attempt at persuading others that they are right. Instead of spending time asking themselves what they have done wrong and how to move on positively - they prefer to rally people behind their ‘cause’. They create stress in the workplace by constantly hounding people to listen to them. This results in factions within the company. People start to take sides and unnecessary stress in the workplace is created. Instead of focusing on the solution they have just created more problems. This group of people wants attention for themselves. You will see this especially when the office is celebrating certain achievement by others. When others are getting the limelight, they start to show their true colors. They start to badmouth others about how the success is not justified, about how that person is just lucky. These people think that if they start to bad mouth others, other people will think that they are better. It is a weak attempt to get people to trust, appreciate and respect them. They feel that once they badmouth others they will get the glory. “If my boss looks at the person’s weakness then he will notice my strength”, goes on in their head. What would the person who is picked on do in this case if they find out? Typically, you get retaliation. People seek revenge when they feel they are wronged. The person picking on others would have to stay guarded. Again, unnecessary stress in the workplace is created. As a career builder newbie, remind yourself not be sucked into these forms of incessant complains. More importantly, do not become one of the workplace creators of stress. Stay focused on the positive and upgrade your skills and knowledge. It is energy better directed and better used. 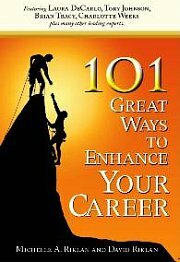 For more career articles related to "Stress in The Workplace", click here.